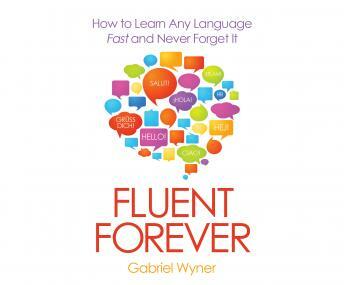 Listen to "Fluent Forever: How to Learn Any Language Fast and Never Forget It" on your iOS and Android device. Memory is the greatest challenge to learning a foreign language; there are just too many words and too many rules. For every new word we learn, we seem to forget two old ones, making fluency seem out of reach. Fluent Forever tackles this challenge head-on. Starting with pronunciation, you'll learn how to rewire your ears and turn foreign sounds into familiar sounds. And with the help of sophisticated spaced-repetition techniques, you'll be able to memorize hundreds of words a month in minutes every day. This is brain hacking at its most exciting, taking what we know about neuroscience and linguistics and using it to create the most efficient and enjoyable way to learn a foreign language in the spare minutes of your day.